As some of you have pointed out, "the two halves aren't connected." In reality, they are connected, but the corpus callosum is very thin. Dolphins do that thing called unihemispheric slow‐wave sleep, and are able to remain vigilant even with only one hemisphere awake. Positron emission tomography (PET) scans during this type of sleep show that there's also lateralization in cerebellar activity. However, the fact that dolphins can remain vigilant even with one hemisphere asleep implies that there is no extreme lateralization of function that would cause severe impairment. See the full story on Reddit! 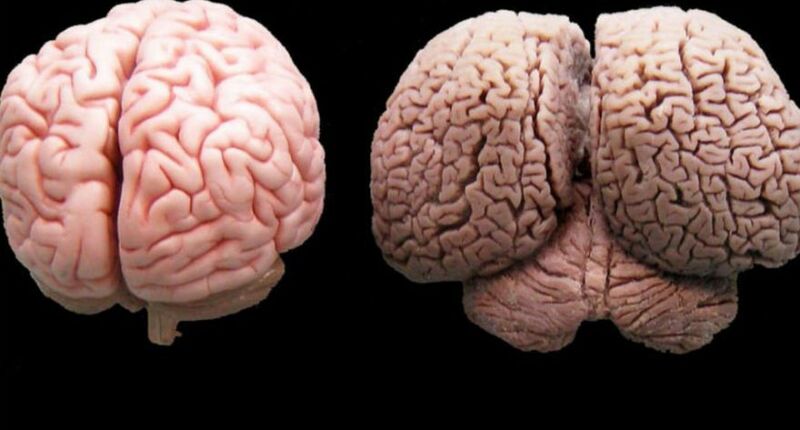 "Human and Dolphin Brain Compared"